Planning a wedding is a really stressful and exhausting job, and unless you have every detail figured out, it will be impossible to organize good wedding. There are so many little detail to think about, that many get lost in the train of thought, which is why you should be writing it all down. Spending a larger amount of money will not go unnoticed by your bank, and unless you give them a heads up, they will start denying all your purchases. Make sure that you go to the bank, and tell them that you will be having a wedding soon enough, so that they are prepared for it, and that you will not lose any early payments on venues or services. Even though planning the perfect wedding will mean that you get to pick your destination for it, you should not forget about the friends and family you want bring along. After all, if you are going far away for a couple of days, it could be quite expensive. And, in some cases, getting to those wedding destinations could be problematic. Depending on the type of the reception you will have, you should think about various ways you could end up serving food and drinks. However, you can also hire catering services to help you out, so that you will not have to worry about feeding your guests. Though, make sure that you pick a place which can make really good food, as people do not like to be hungry at weddings. How could you tell your guests where they should be going to find your wedding? Entrance decoration is going to serve a twofold purpose, it will be a clear indication that there is something going on inside, and that you can set the right atmosphere. You can really get creative, and most material you will use will not cost a you lot, so that you can make something really amazing and inviting. You should by all means make sure that every person has their seating right, otherwise you might have people who will get into quarrels and end up making a scene. Be very precise and very strict about seating, so that at the beginning of the ceremony there is no tension and that everything goes smoothly and without any problems. For the bride-to-be, the bridesmaids have a big responsibility in organizing a hen’s night, and one which can be remembered. Include a lot of games, drinking and having fun, so that the next day, the bride can get married with an easy and unwavering heart. 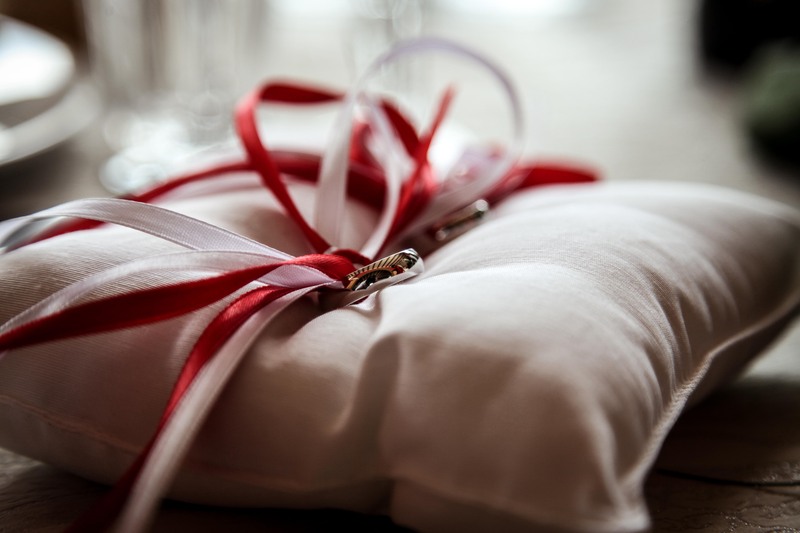 But, do not forget to bring presents, and what better to gift to the soon-to-be-bride than a bridal robe. Make sure that the party does not get out of hand, and that nothing too embarrassing happens, as it ruin the overall mood of the wedding. Planning the perfect wedding will require that you look into all the small details you might have overlooked at the beginning. Luckily, you are not alone in this, and you should not be afraid to ask for help, as you might get into a pinch. On the other hand, by writing a list of things to do, it will be easier to have everything done in time and that all go smoothly. However, expect a few bumps on the road, and that not everything will go as planned, and always have a backup plan ready.